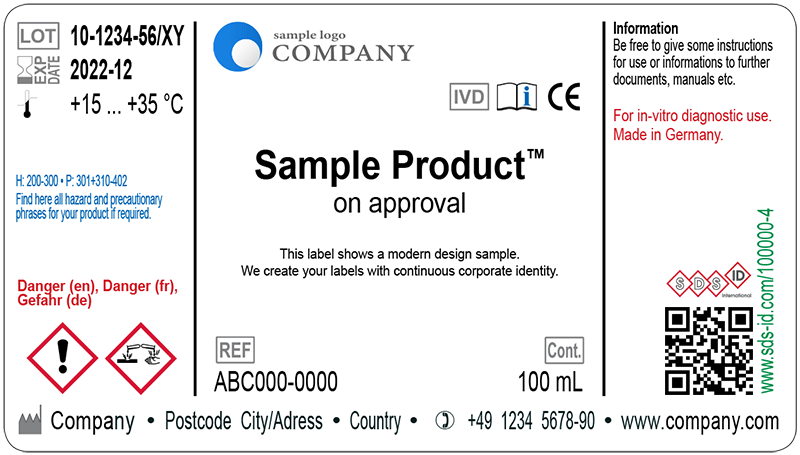 SDS-ID International provides a unique identification number (SDS-ID) for safety data sheets. This applies worldwide and will subsist throughout the lifetime of a product. Each user of a product has immediate access to all available country/language versions. … on the product label. … in the product information / instructions for use. … on the delivery note / invoice. … on the SDS itself for updating. … in product presentation on your website. Providing the SDS electronically on a direct way under REACH. Customers no longer ask for SDS by e-mail or telephone. No distribution expenses for initial and updated SDS. Each product user has immediate access to the most current SDS in his country/language version. Emergency doctor and emergency call centers can directly access the SDS via smartphone/internet. Simple forwarding/communication of the SDS-ID via phone possible. Extra short URL simplifies the written, verbal and electronic deployment of an SDS. Users don't need a separate SDS collection (list of SDS-IDs is sufficient in most cases). Always current status on each access.